You can see an economy through different lenses. There’s economic growth – gross domestic product. 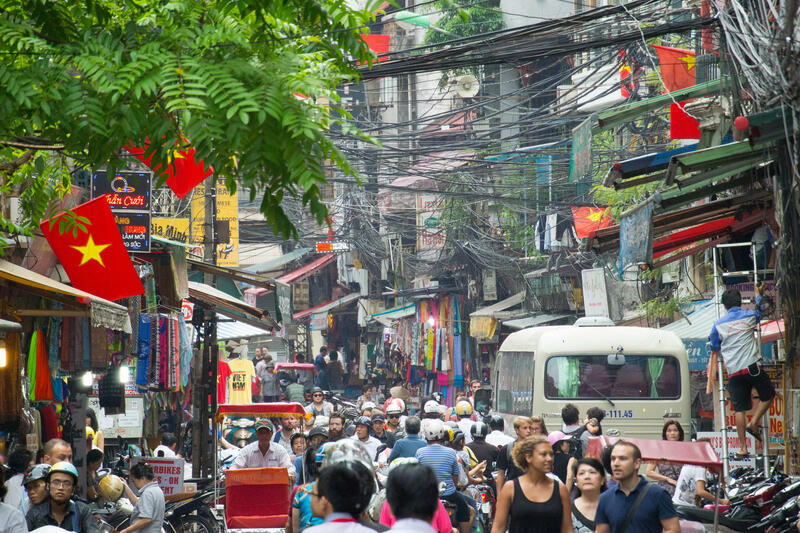 GDP is gaining about 7-percent a year in Vietnam — a very strong rate. Another perspective is foreign direct investment: the money that other countries put into businesses or real estate. In Vietnam’s case, that largely means manufacturing — mostly based in the south. For many countries, and a lot of multinational companies, Vietnam has been a low-cost location for manufacturing – an alternative to mainland China. Taiwan was a relative pioneer in Vietnamese FDI; Japan was not far behind. According to the U.S. State Department, five years ago, the top three foreign direct investors in Vietnam were Japan, Singapore and South Korea. The financial website TradingEconomics.com says that so far this year, the top three economies pledging future direct investment in Vietnam are Hong Kong, Singapore and South Korea. And there’s always popular perception — hard to quantify, sometimes easier to visualize. Next year, Formula One racing is scheduled to make its debut in Hanoi.